Cloud adoption continues apace as enterprises embrace the upsides of speed, simplicity, agility, and lower costs. Unless you’re a massive company with near unlimited resources, you likely won’t be able to come close to matching the big data, machine learning, or Internet of Things capabilities offered by the major cloud platform providers. New cloud innovations in technology, pricing and partnerships are surfacing every day, with more to come. Wherever you are on your journey to the cloud, it would be wise to envision and plan for a future in which you are a multicloud company. A multicloud strategy is a great hedge against lockin. In fact, for anyone who was around before the era of cloud computing, the arguments for a multicloud strategy to mitigate against lockin will sound eerily familiar. Similar arguments were made against betting the business on a single database vendor or ERP provider. Vendor flexibility. From a purely business standpoint, it’s unwise to put all of your “cloud eggs” in one basket. If your vendor suddenly changes its strategy, SLAs or pricing model, or if new management takes over, you want to have options you can turn to quickly. Best of breed. New innovations are emerging almost daily, and different cloud providers excel in different areas. To stay competitive, you’ll want to leverage the latest and greatest capabilities from multiple vendors. Negotiating power. No business should be beholden to a single vendor, especially for something as essential as computing infrastructure. If your cloud provider knows you have options—and you are actively engaging with them—you have more leverage to negotiate terms. Failover and disaster preparedness. Systems fail (and, increasingly, are under siege from cyber attacks). You want backup systems and procedures in place, and having multiple cloud vendors can be an important component of that. Data sovereignty. Depending on your industry and where you do business, you may need to comply with regulations about where data can physically reside. In particular, the EU’s forthcoming General Data Protection Regulation is looming large for many enterprises. Let’s be real—whether you’ve started with one cloud provider or you are already multicloud, cloud vendors aren’t sitting around contemplating how to make it easier for you to work with multiple clouds. Here are some best practices to use as you to move to a multicloud environment. Start with them all. One of the beauties of the cloud is that you can spin up a test environment or trial application without a major upfront investment. The cloud changes the economics of experimentation; there’s no long term buy-in required to get started. 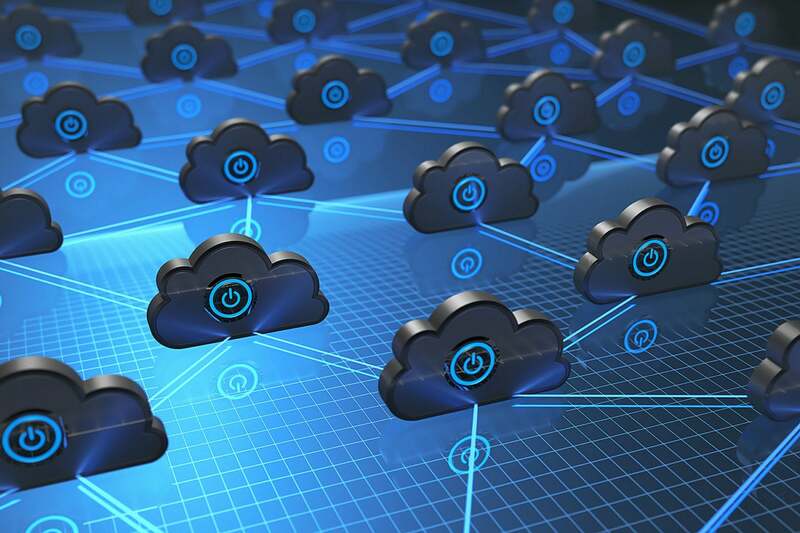 If you’re asking the question “which cloud?” your initial answer should always be “all of them”—only through trial and error can you determine which platform will be best for a given application. Embrace chaos. With the cloud, a certain amount of control is slipping away from IT. When line of business managers can fire up whatever application meets their pressing need that week, your IT environment quickly becomes complex. Add multiple clouds to the mix and the problem is magnified. You can’t fight chaos; instead, put systems and practices in place to ensure required levels of security, governance and performance are met. Establishing a sandbox environment where departments can test applications, and IT has oversight and can provide recommendations, is a good place to start. Think bimodal. Gartner introduced the concept of bimodal IT, where companies establish dual IT environments—one focused on traditional IT for stability and efficiency, and an experimental, agile environment that emphasizes time to market and tight alignment with business needs. This model can apply to cloud selection. Consider technologies that will be essential for the future of your business, such as machine learning, and establish a beachhead in platforms that support these workloads. Watch data gravity. A trade-off with best of breed is that it can lead to data silos. If applications are spread across multiple clouds, data can be trapped in those platforms and you incur heavy costs in bandwidth or latency to move it back and forth. As a rule of thumb, keep the processing of your data as close as possible to where it resides. Maintain one center of data gravity in your primary cloud, and move data only when it’s required. Leverage abstraction technologies. Portability between on-premises and cloud, or between multiple cloud providers, is critical. One option is to use containers, which use shared operating systems and are designed to be self-sufficient and portable. Abstraction technologies provide a level of portability even across otherwise incompatible environments. And, importantly, your data and application integration platform should be a modern one—which means, in part, it is built for cloud environments. Work at the level of metadata rather than the level of code. That gives you a “get out of jail free” card, so if you make new decisions about your platform, it’s easy to rehost to another platform. Whether the integration tech runs there or you just source or target it, you shouldn’t have to go through a lot of pain if you make a new decision or augment your platform. Try new stuff. “Fail fast,” as we say in Silicon Valley, and move on to the next solution that could help propel the business. With so many tech advances brought on by the cloud, now is the time to initiate a multicloud strategy. There’s no reason to delay action; my advice is to jump in. Be thoughtful, weigh your options, tap the best technologies for any given use case, and sleep well knowing you can easily integrate your apps and data platforms should you change course as you fine-tune your strategy. Gaurav Dhillon is the Chairman and CEO of SnapLogic, overseeing the company’s strategy, operations, financing, and partnerships. He is the co-founder and former CEO of Informatica.